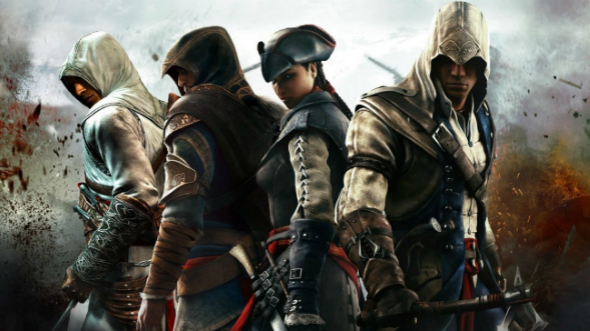 New Ubisoft company’s project - the Assassin’s Creed 5 game - continues to spark the rumours. Not so long time ago, the news concerning Egypt as the new location for the next part of the franchise appeared. However the rumours didn’t get the official confirmation. Another place, which the fans expected to see for the Assassin’s Creed 5 game’s setting, was Japan, but recently the Ubisoft’s executive producer - Jade Raymond - has denied such information. According to the Jade’s personal opinion, Japan is an interesting country, and the times of the feudals in the Land of the Rising Sun may be a proper setting for the upcoming part of the series, because the assassins have something in common with ninjas. However the Assassin’s Creed 5 game’s actions will take place during the Raymond’s favorite historical era. The detailed information on what exact period they will cover is kept in a secret. Also some rumours concerning the Assassin’s Creed 5 game’s title have appeared recently. It might be called Great Fall. Besides, Jade has marked that the developers of the franchise always try to create such thrilling story, which would live on for many years and would become a base for other videogames and even TV projects in the future. And where would you like to travel in the new Assassin’s Creed 5 game?